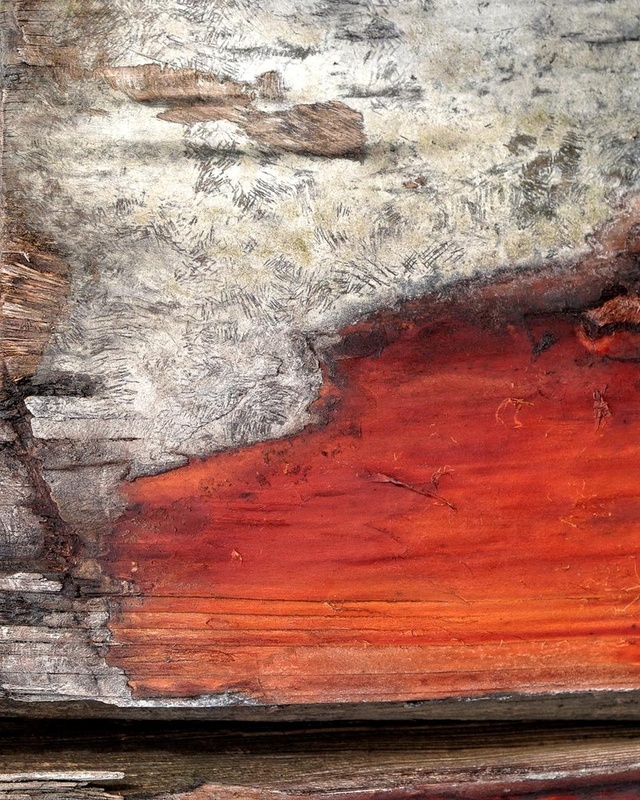 The brilliant scarlet of soaked red cedar caught my eye as I passed by a pile of chopped firewood. The outside bark had been pulled away, revealing the delicate film which resides between the bark and bare wood. After being tossed about in a woodpile over time, other chunks of chopped wood had scraped up against this fragile layer, leaving a wonderful mark-making effect.